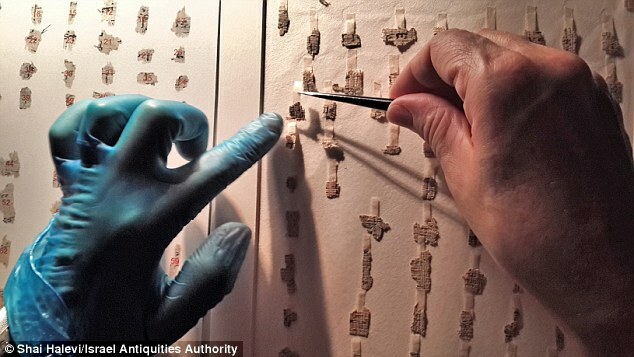 Researchers will attempt the most important jigsaw in the history of mankind as they attempt to digitally scan 20,000 Dead Sea Scroll fragments so they can be pieced together. The Dead Sea Scrolls are considered by scholars as the greatest discovery of the 20th century. Thousands of miniature scroll fragments will be scanned with the latest technology. Scientists hope that with this new project, they will finally unravel the mystery and secrets hidden deep within the ancient scrolls. The Dead Sea Scrolls were found in eleven caves situated along the northwest shore of the Dead Sea from 1947 to 1956. Today, researchers have identified the remains of approximately 870 scrolls which are divided into two basic categories. The Biblical and Non-Biblical. According to scholars, it is very likely that the Dead Sea Scrolls were written by the Essenes sometime between 200 B.C. to 68 C.E./A.D. Among the scrolls, around 225 Biblical texts have been found, which are considered some of the oldest surviving texts from the Hebrew bible. Nearly 2000 years after these enigmatic scrolls were written, the thousands of tiny pieces will be scanned using high-resolution imaging. But not only will the new project attempt to scan the Dead Sea Scrolls, it will also assist in the successful translation of the scrolls as they are fitted together, helping scholars unravel the secrets within them. While researchers estimate some 20,000 fragments to be scanned, many more could undergo the process in the future. So far, each fragment of the scrolls has been imaged on both sides with 12 different wavelengths of light, composed of seven in the visible light range and five in the near-infrared range.